I’ve been day dreaming about this time of year since that scorcher of a summer we had! One of my favourite things about autumn and winter, or at least the build up to winter (when it’s not so cold) is cuddling up under a totally indulgent fluffy blanket – hot chocolate in hand (P.S. I have a killer recipe that I’ll post soon – or you can head on to my Instastories to check it out) and tucking into a good book! 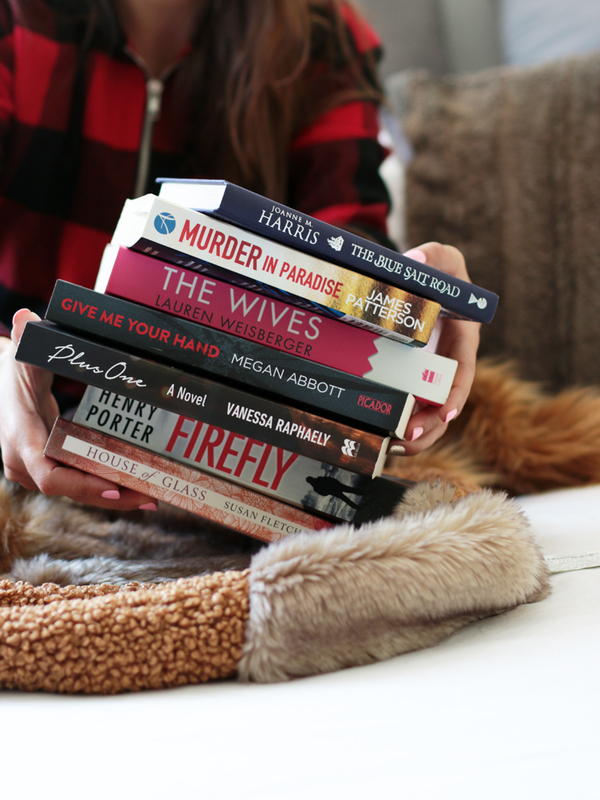 If you romanticise about cozy winter days curled up with a good book, I’ve got eight books on my reading list that you may want to check out. Let’s start with The Blue Salt Road by Joanne M.Harris, my favourite; because it was not only beautiful to look at, but a beautiful read too! First up, I want to mention that I’ve totally fallen in love with fantasy and fairytale fiction. I’ve never really been into that genre so much, but now that I’m older (and wiser haha) I almost want to find a way to reconnect with fantasy lands, because they allow me to escape out of normality and let me just enjoy the story. In The Blue Salt Road the story follows a tale of Selkie folklore. In a nutshell, Selkie are seals who shed their skin and resemble humans without anyone knowing. The problem is, when they lose their skins, they can’t reconnect with their Selkie and are almost trapped in their human form. I’d never read anything like this before, but the concept of the story (and the Selkie traditions) was very intriguing. In this story you’ll discover the Selkie way of life, uncover hidden agendas, lies, love and deceit. It’s difficult not to get drawn into this fantasy land, so much so that you let your guard down and believe that Selkie actually exist – at least within these pages since the author really brings them to life. Beautifully written, beautifully illustrated this book is a gem for book lovers and collectors of beautiful things. I know they say you should not judge a book by its cover, but this cover is absolutely beautiful. I’m just really glad the inside was just as beautiful! 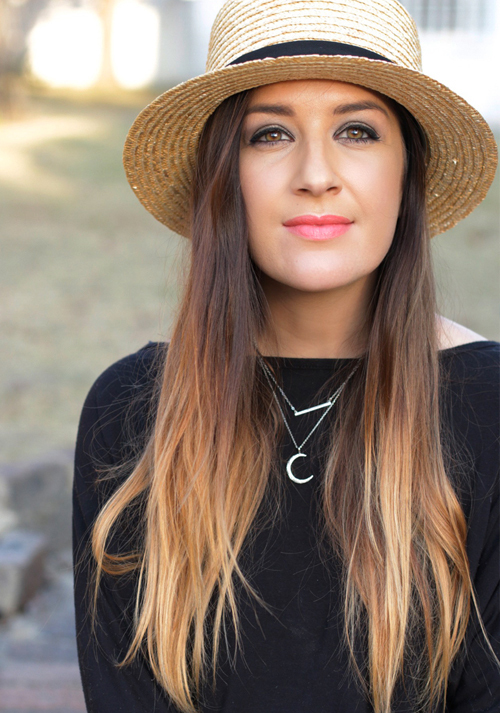 Plus One is the debut novel from South African former magazine editor, media boss and now author, Vanessa Raphaely. When I received a copy of Plus One, I almost (and I do mean almost) thought this was going to be a fluff book. Written by a former fashion mag editor who knew her “target market” in the magazine world would be young girls who would eat up chic-lit. Not that I’m saying I don’t love chic-lit, but I’m saying that’s what I expected from this book. Boy was I surprised! Although the story follows two young women (one of them a will-do-anything celeb and the other a deputy Editor of a glamour mag) the Plus One is less about “the dreamy guy” and more about the loyal friend who basically becomes the Plus One of the starlet in the making. Not only was I surprised that it was totally not what I had expected, but I became enthralled in the pages. I actually got so invested in the story that it was always on my mind. For me, I was in the story – right there with Lisa and Claudia even when I wasn’t reading it. I devoured this book in a couple of days and I can’t wait to see what Vanessa comes up with next. Okay, so remember I said I still love Chic-Lit? Haha! How can we not love Lauren Weisberger? The Queen of Chic-Lit who’s book went on to become one of my favourite movies ever! Of course I’m talking about The Devil Wears Prada! In her latest novel The Wives (by the way this book is titled When Life Gives you Lululemons in the USA – not really sure why) one of our favourite DWP characters makes a come back. Emily Charleton has moved on out of Miranda Priestly’s mag empire and now runs her own, successful image consultancy. The Wives follows the lives of three women who, together become unstoppable. I don’t want to give anything away, but since the cover says “He set her up. They’ll bring him down”, I think it’s safe to give it away without ruining the story for you. I loved all three characters and if you ever wanted to read a tale of true girl power, then you’ll love this one! The betrayal left me shocked, but I also found myself secretly fist bumping the sneaky-smart efforts to get things done. By the way, the inspiration for my Killer Hot Chocolate was inspired by these pages. And although Emily spikes her coffee with a shot of Bailey’s I decided to try it out with Hot Chocolate and it was magnifico! I happened upon this read while browsing the Kindle Unlimited Library on my Amazon device. I just wanted a non serious book that was pure fiction and a little bit different to what I’d normally read. What grabbed me about this one was the main character, Alice was a Nose and I’ve always wanted to spend a few days in a Noses’s shoes. I actually met a Nose once and was fascinated by her tales of how fragrances are developed. So when this book popped up, I immediately hit the download button. The author, Marc Levy is a French Author who’s book, “Just Like Heaven” went on to become a Hollywood movie starring Reese Witherspoon. In The Strange Journey of Alice Pendlebury, Alice is a London girl living the 50’s. She’s alone in the world; orphaned at a young age with no family. She does have a great group of friends and one very annoying Neigbour, Mr Daldry. With her group of friends, at a Brighton Carnival one day, she meets a fortune teller who rattles her. She doesn’t believe in the fortune tellers crazy story, but she’s intrigued and a little freaked out. Basically she’s told her a lavish story that if she wants to find her truth she has to go to Istanbul. She can’t get what the old lady told her out of her mind. So much so, that the next day she finds herself telling the annoying Mr Daldry. Whether Daldry is intrigued or has another plan brewing, he accompanies Alice to Turkey to follow the strange predictions of the Fortune teller. Filled with mystery and uncertainty, following the unexpected trip of Alice and Daldry to Turkey becomes a great adventure for the reader. It’s such a wonderful book and I enjoyed it so much that I’ve just downloaded another novel from Marc Levy called P.S from Paris. 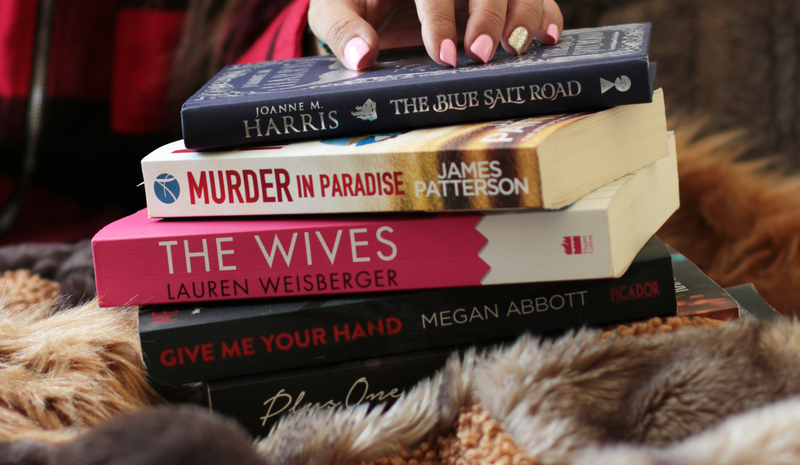 If you’re into shorter stories or just looking for a quick read – well three mini reads – you’ll find them in Murder in Paradise from James Patterson. This would be the ideal holiday book. 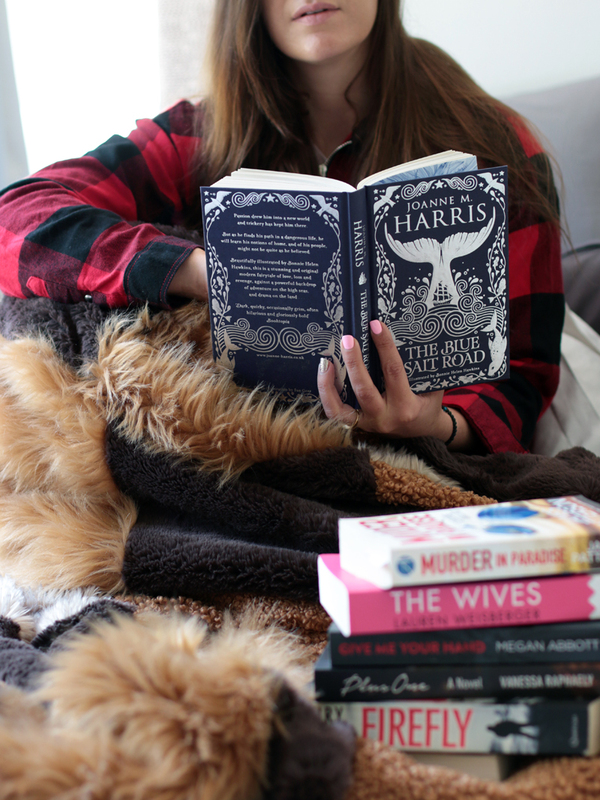 The kind when you want to enjoy a bit of reading without being too invested in the story, or you don’t want to spend your whole holiday reading. The stories are short and can be devoured in a single sitting. There’s The Lawyer Lifeguard, the Doctor’s Plot and The Shut-In. Three totally different stories with one common theme, Murder. My favourite was The Lawyer Lifeguard and while I liked that it was short and sweet, I probably could’ve enjoyed a full book on this story. Like the previous book shot collection I read, there was that one story where I just wanted more. I’m not a serious reader, so I was ok with letting the story being told quickly. But, if you’re a total book nerd, you might just be left unsatisfied reading these when you could be reading a full novel with more depth and storyline. Kit has risen to the top of her profession and is on the brink of achieving everything she wanted. She hasn’t let anything stop her. But now someone else is standing in her way – Diane. Best friends at seventeen, their shared ambition made them inseparable. Until the day Diane told Kit her secret – the worst thing she’d ever done, the worst thing Kit could imagine – and it blew their friendship apart. Another one on my “to read list” is the latest from Henry Porter called Firefly. Determined to find safe heaven in Europe for his stricken family, Firefly (the boy genius’ code name) does everything to survive on the road. What follows is a desperate race against the clock in a devastatingly timely thriller following thee refugee trail from the dark heart of the Middle East to Europe. Have you read any fantabulous books lately? Comment below and share your faves.